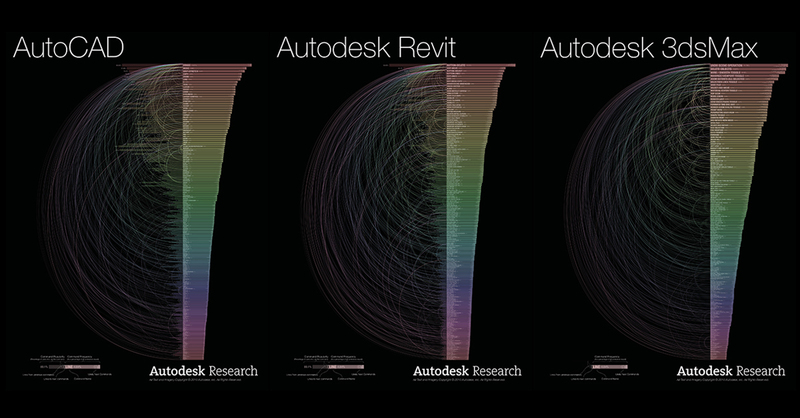 The ‘Customer Involvement Program’ of Autodesk’s research department has, over the years, compiled a database of over 60 million individual commands created by anonymized users. Each reveals shortcut paths and thought flows among its customer base. The team have visualized the product usage (here described as the Command Usage Arc project) by ordering known and new commands from the most-frequently-used to the least-frequently. Revealed as a sequence of infographics, the results demonstrate how people work – and how they often deviate from prescribed usage.